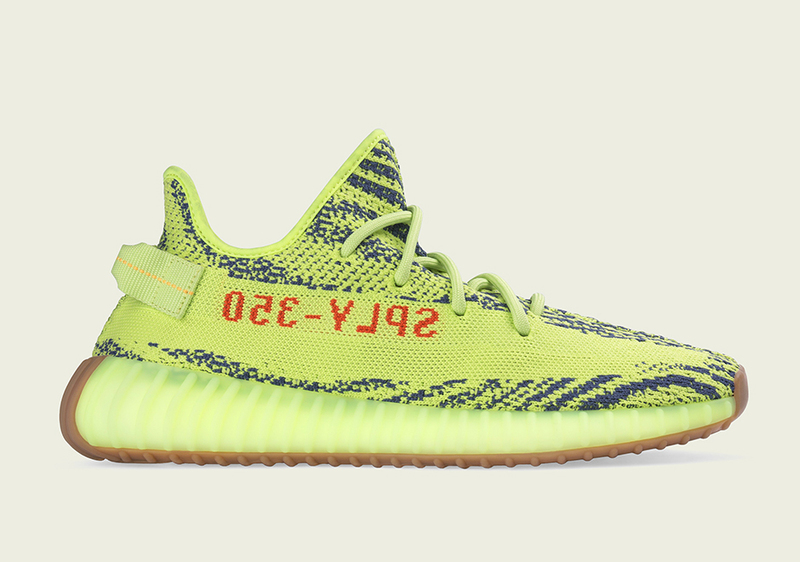 adidas has just announced the official store list for the upcoming adidas Yeezy Boost 350 v2 “Semi Frozen Yellow”, releasing on November 18th, 2017. Rumored to be the most limited Yeezy Boost 350 v2 yet, this yellow/navy Yeezy features a gum outsole, which completely disrupts the streak of tonal sole colorings of essentially every Yeezy Boost release thus far. In addition to the official store list, the adidas Yeezy Boost 350 v2 will release in limited quantities on adidas.com/YEEZY, Yeezy.Supply, and through the adidas Confirmed App.